Disclaimer: Johnn gave me a license for Campaign Logger, and asked me to write about my experiences with the program. What is a Funnel Game, Anyway? The term funnel game was coined by the creators of Dungeon Crawl Classics. It describes an adventure where players have control of more than one level-0 character. The characters, mustered from the likes of your everyday pig farmer, are called to protect their home in some way. They’re the equivalent of those commoners you typically ignore in your games, even though your Game Master wrote a page’s worth of hopes and dreams for each of them. Since the characters are the only ones around who can do anything about the threat, they sally forth, armed with bright eyes, bushy tails, and granddad’s old pitchfork. These lucky souls get to go through the meat grinder – which may come in the form of recently unearthed tombs beneath the village, that forest on the edge of town that nobody talks about, or, depending on your Game Master’s inclinations, an actual magical meat grinder. The few survivors receive the greatest gift of all: they reach level 1. If there’s anything that I’ve been looking for in my time as a Game Master (other than a way to beat the real-life game Scheduling Game Night After You All Graduate from College) it’s a good way to keep track of game notes. I’ve tried Evernote, Treepad, Obsidian Portal, and Trello, and while they are awesome tools for what they do, I needed something that had organizational tools built in and could be updated in real time during the game. It could be done with these programs, of course, but it would take more work than I want to put in. After all, we’re all here to have fun, not have a second job. Enter: Campaign Logger. 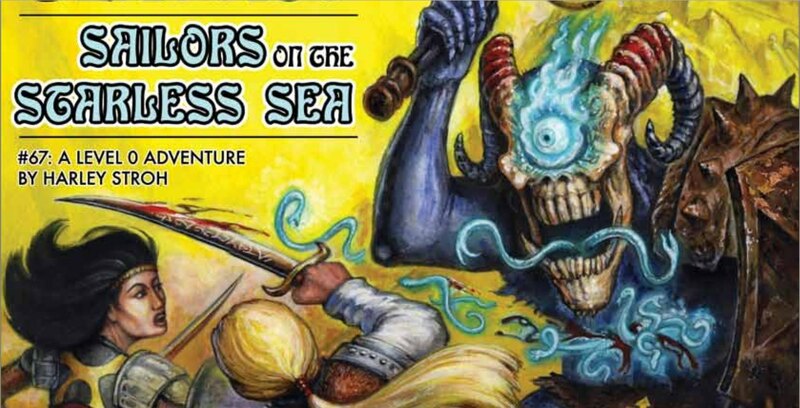 For last Sunday’s game, I planned on running the Dungeon Crawl Classics adventure, Sailors on the Starless Sea. A dungeon crawl is something my group had never properly done before, what with us entering this hobby well past the days of the original white box. But since I have bought the rulebooks for everything out there, I thought now was a great time to start. 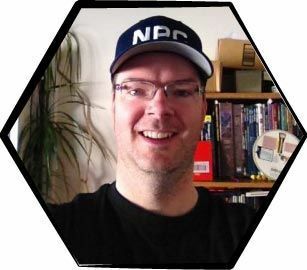 I began by going through the adventure and making an entry for every area in the game, writing down quick snippets of everything I would need to run the adventure so I wouldn’t have to flip through its pages during the game. If a certain term is tagged on Campaign Logger, then you can click on it and the app will show you every entry that mentions that term. Since a dungeon is, in its most basic form, a series of interconnected rooms, I thought this would be an easy way to go from section to section as needed. I also kept the information for possible combat encounters separate from area entries. This way, I would have all the information I needed for a specific moment in the game without extraneous information. As the characters dropped like flies and more of the ruined keep was explored, I kept on-the-fly game notes in a log that was completely separate from the notes that I took for running the adventure. Right now, my plan is to fill that log with one entry for every session. This way, I have the game notes handy in one tab for what could happen in the game, and I have another tab open for what actually happened. When I am preparing next Sunday’s game, I will be taking the time to sort through the notes, properly tag everything that needs to be, and think about what adventures the players will have next. The tag system stood out to me the most while I was using the game master app. They come with predetermined definitions, but a user can change that in the settings with no problem. Besides areas and encounters, I also kept track of items won and money gained. If I open the list of terms tagged as either, I have a handy list of what the players found and what they missed. Entering the whole Sailors adventure into Campaign Logger by itself was time consuming, but I’m curious to see what the process will be like when I’m using my own material and not someone else’s. Something else I also found useful about the game master app is how it ends up reducing clutter on my desktop. I would have a game book handy as a rules reference, the adventure itself, as well as a physical notebook to take notes. If I plan enough ahead, meaning I’ve made an entry for possible rules that would come up during gameplay, and wrote sufficient notes for the upcoming session, then in theory, I’d just need Campaign Logger at the game. It was true this time, at least. This is also a way around the lack of bookmarks and clickable terms in the .pdf files that the bulk of role-playing game material is being sold as these days. Thank you for reading Roleplaying Tips! Next time, our heroes will leave the (relatively) safe confines of their home village again and I’ll find out what it’s like to use the Logger for my own material. What are your experiences with funnel games?